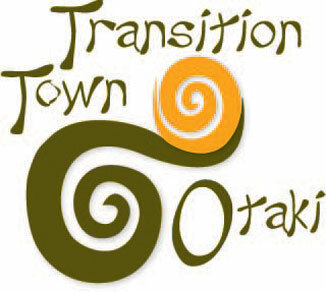 Why a Transition Town movement in Otaki? Deirdre Kent, founder of Transition Town Otaki (TTO), was inspired by a British permaculture teacher, Rob Hopkins, who with energy researcher and author Richard Heinberg started the movement in UK. She started the Otaki group in 2008 after a permaculture conference in Turangi. At that time “peak oil” was the group’s main concern (the point at which the world’s peak oil production would reach its maximum, then go into decline). The end of the age of cheap oil would force socio-economic change on a huge scale. TTO members focused on understanding this issue and how it would play out locally. “For a while we just looked at films on peak oil, but as people thought about how to live with less oil and the need to localise and strengthen our community, they got stuck in to positive projects,” said Deirdre. First was the regular Thursday stall to sell seasonal surplus food, initiated by Jamie Bull. The group organised a seminar on bioregional food production and worked with Council and the Community Board. Many members are involved in a local food cooperative. TTO also supported the establishment of a local food producers’ Saturday market. Our local timebank, which trades using hours instead of dollars, is another TTO initiative. TTO also ran a public meeting with a panel discussing energy issues, prior to the founding of Energise Otaki, which aims to involve all Otaki households in the production of clean energy. The eventual goal is for Otaki to become a net exporter of clean energy. The inevitable decline of easy-to-extract oil remains however and the need to strengthen the Otaki community in the face of this, along with climate change, remain the focus for TTO. “TTO members are committed to activities that prepare our town for such events as a second Global Financial Crisis, an extreme weather event or the non-arrival of a shipment of oil. Future projects may be involvement with the business and industrial community focussing on the town’s economy,” said Deirdre. TTO’s next meeting will be a follow-up to our planning session in March. If you’d like to join in, come along for a potluck meeting at 6pm, Wednesday May 27, at 47 Te Manuao Rd, Otaki (same venue as the original planning meeting). Bring food and drink to share. Meal at 6pm, meeting at 7pm. All welcome—doesn’t matter if you didn’t get to the first meeting, your input will be valued.